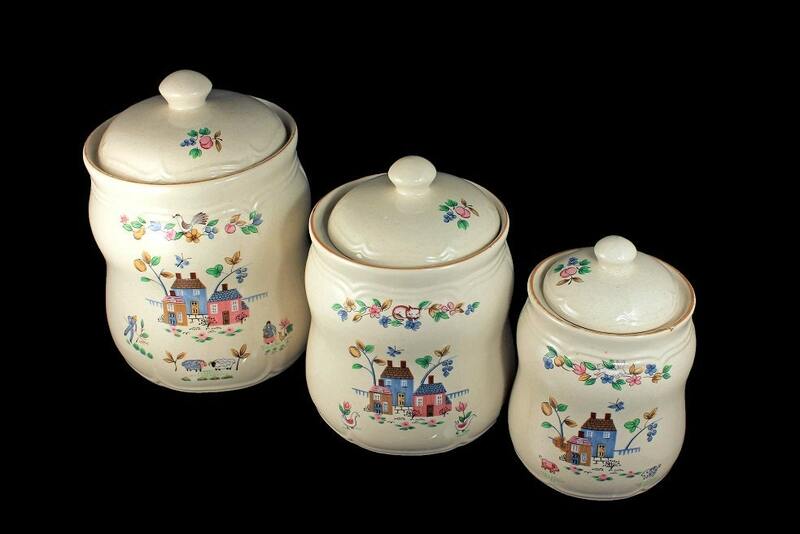 A charming set of 3 canisters made by International China in the Heartland Pattern. 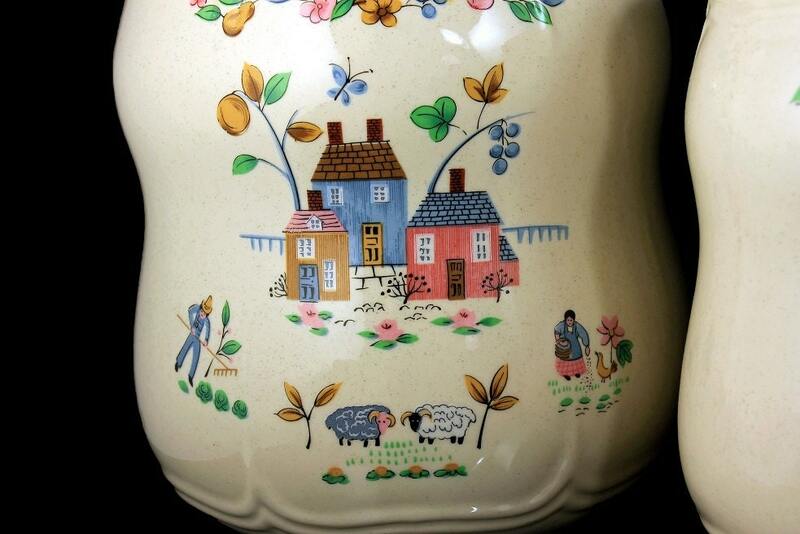 Heartland pattern consists of farm scenes, scalloping near the top, and dark tan edging. The sizes are for the flour, sugar, and coffee. 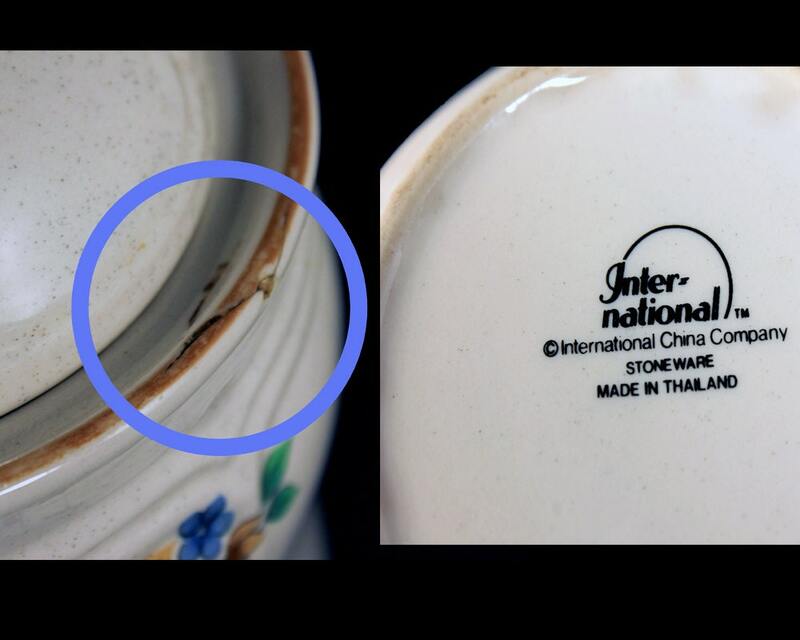 They are stoneware and were made in Thailand. 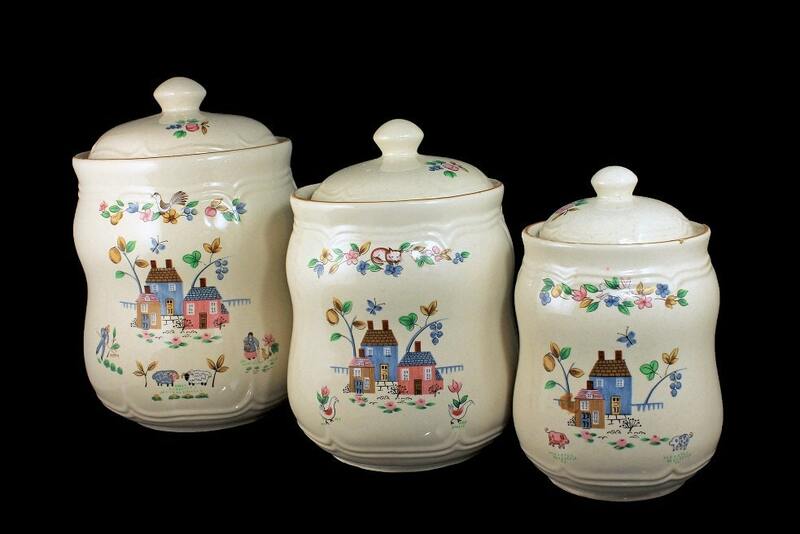 These would look wonderful in a country kitchen. 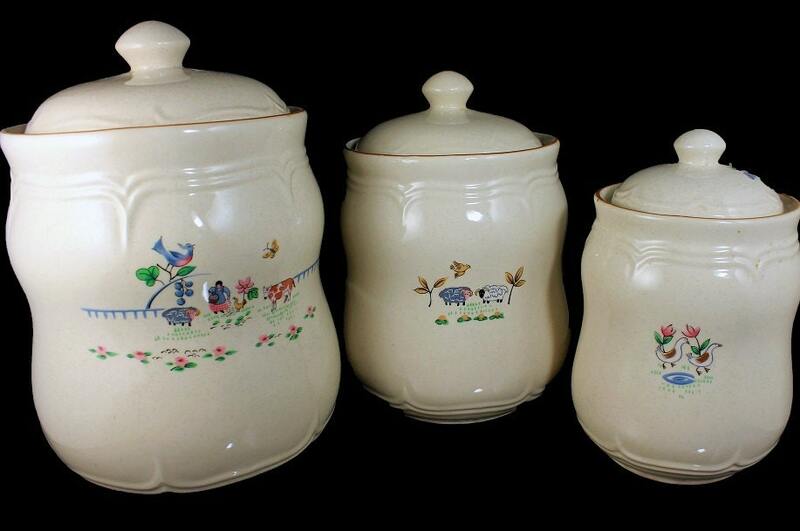 The flour and sugar canisters are in excellent condition. There are no chips, cracks, or crazing. The coffee canister is in great condition. There are no chips or crazing. There is cracking around the rim of this container. Please see photo 5.